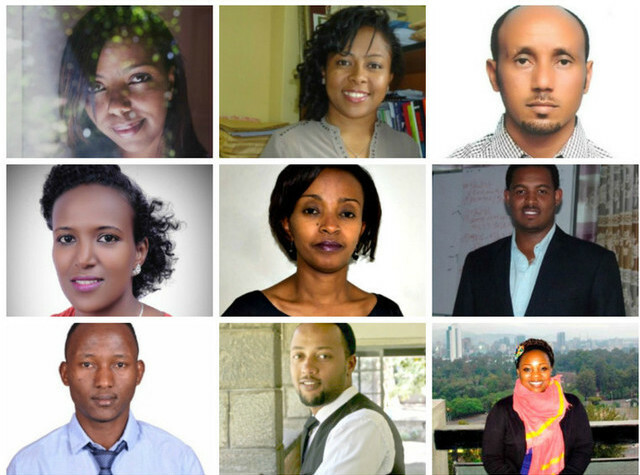 Washington, D.C. (TADIAS) – Ethiopia is represented by 13 young leaders in the newly renamed Mandela Washington Fellows for Young African Leaders program. 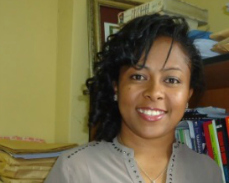 Fozya Tesfa has over nine years of experience working in the education sector. She is founder and current Dean of the School of Education at the University of Gondar, responsible for recruiting instructors, working with instructors on curriculum planning and delivery, training and advising students, and organizing and delivering pedagogical trainings. Fozya holds a Master of Arts in Educational Planning and Management from Addis Ababa University focusing on identifying management problems and prioritizing possible solutions in technical and vocational education and training institutions. She is also a Ph.D. candidate in Comparative and International Education at the same university with a special emphasis on pre-primary education. Upon completion of the Washington Fellowship, Fozya plans to work towards improving the quality of education in Ethiopia by empowering teachers and students and to advocate for children and other stakeholders throughout the educational system. 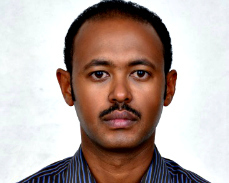 Mesganaw Assefa has experience working in the areas of governance, human rights, and education. He currently serves as a national Peace Expert for the Ministry of Federal Affairs where he advises on strategic directions, policy formulation, and capacity building efforts in its conflict prevention and resolution tasks. He also teaches law for undergraduate students at Addis Ababa University. Previously, he worked at the Ethiopian Human Rights Commission as a member of the team of experts that drafted the first National Human Rights Action Plan of Ethiopia, which is currently being implemented. Mesganaw holds two master’s degrees, an LLM in International Human Rights Law from Lund University and a Master of Arts in Global Political studies with specialization in peace and conflict studies from Malmö University. Upon completion of the Washington Fellowship, Mesganaw plans to continue to engage with public institutions to influence the implementation of strategic policy decisions on safety and justice issues with a particular focus on issues of women and girls. Darara Mole has five years of experience working in community development. Currently, he serves as a Program Coordinator with the Harmee Education for Development Association, an organization that works with women, children, youth, and people with disabilities located in rural areas. He is also chairman of the Youth for Action and Charity and previously worked with the Office of Government Labor and Social Affairs. 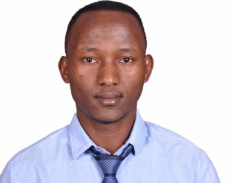 He holds a Bachelor of Arts in Psychology with a minor in Sociology and is currently working towards a master’s degree in Social Work at Addis Ababa University. Upon his return from the Washington Fellowship, Darara plans to share his acquired skills and knowledge with his community and engage in leadership cultivation programs at schools to inspire youth to be responsible citizens. He is also very keen to engage in charitable activities and to continue working with children. Helawi Beshah is an architect that researches and lectures for the Ethiopian Institute of Architecture, Building Construction and City Development (EiABC). For the last seven years he has researched and conducted experiments focusing on innovative, green, and affordable housing alternatives and constructing prototype buildings for lower income neighborhoods in Ethiopia. He is also the founder and Executive Editor of Building Ethiopia, the first architecture and urban scientific journal in Ethiopia. He is skilled in photography, visual communications, and graphics design. 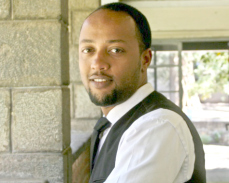 Helawi received his bachelor’s degree in Architecture from the Addis Ababa University and a master’s in advanced studies in Urban Design at the Swiss Federal Institute of Technology. Upon completion of the Washington Fellowship, Helawi plans to create publications, documentaries, and platforms that focus on innovations and change by youth across Africa. Saba Bisrat has over five years of experience in the construction business sector. She is currently the founder and Managing Director of Revo Construction where she executes projects that mainly focus on alternative construction methodologies. She is also a partner with a turnkey solution company called TKM Maestro Technology PLC and serves as co-founder and committee president for an international student organization called AIESEC. Saba is planning to launch a labor training center focused on providing skills for those working in the construction sector. Saba holds a bachelor’s degree in Construction Technology and Management from Addis Ababa University in Ethiopia. Upon the completion of the Washington Fellowship, she plans to share her acquired knowledge and skills with her community by giving workshops to different construction associations and graduating students who will be entering the construction industry. Deginet Doyiso has four years of experience working as a Public Prosecutor in the Kambata Tambaro Zone Justice Office, in the SNNP Region of Ethiopia. As a disabled person, Deginet works to ensure that all disabled people in Ethiopia are given equal opportunities and do not live in poverty. He has received training in various areas including project management and planning, fundraising, and public speech from the International Institute for Social Entrepreneurs in Kerala, India. He is founder of an NGO that focuses on issues and problems important to the disabled community and also has a center that provides training to disabled women in small businesses. After completing the Washington Fellowship, Deginet plans to renew his energy and further improve his NGO to empower disabled persons economically and socially. Haleta Giday has over three years of experience working in community development. She is currently a Lecturer of Law at the Woliyta Sodo University and serves as a public prosecutor in southern Ethiopia. She focuses on the rights of women and children and has conducted several trainings to increase awareness regarding the legal and financial rights of women. 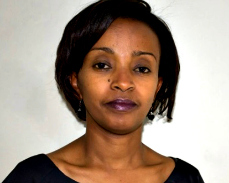 Haleta holds a degree in Law from Jimma University and conducted her research on human rights violations in Africa. After completion of the Washington Fellowship, she plans to work with the United Nations and African Union on issues related to peacekeeping and conflict resolution in Africa. She also plans to conduct trainings on gender equality and women’s empowerment. Yonas Moges has over ten years of experience working in the hospitality industry with major international hotel chains. Currently, he is a managing partner at Calibra Hospitality Consultancy and Business Plc, where he focuses on advising local hotel developers in hotel design concept development, site selection, conducting feasibility studies, searching and selecting a hotel operator, and sourcing debt and equity finance for hotel projects. 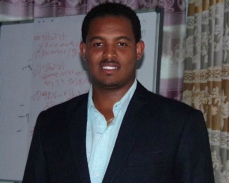 Yonas received his Bachelor of Arts in Business Administration from Addis Ababa University and is currently pursuing an MBA-HRM in Distance Education from Cambridge International College. Upon the Completion of the Washington Fellowship, he plans to work on strengthening third party hotel management and introducing the first franchised family restaurant to his home city. He is also working to start an Ethiopian Vocational School of Hospitality with an international hotel school accreditation system. Michael Addisu Haile has more than 8 years of experience in lecturing, consultancy and business management, with a focus on the financial sector. He worked in several positions before starting a new and pioneering microfinance institution called Nisir Microfinance. Nisir provides medium size and demand-driven credit, saving, micro-insurance, micro-leasing and business advisory services to medium sized enterprises. 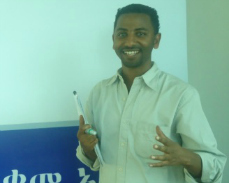 Michael was inspired to start Nisir when writing his Master’s thesis in 2006, when he discovered a large gap in the Ethiopian financial sector that was not being served; existing microfinance institutions focused only on the bottom segment and commercial banks mostly served high-end customers only. He was able to raise over $800,000 from over 200 shareholders to establish his company. Upon returning to Ethiopia, Michael will continue to provide young entrepreneurs, including women-owned businesses and other emerging companies through business development and financial services. Michael has bachelor’s and master’s degrees in Finance and Accounting, and is currently a Chartered Financial Analyst (CFA) candidate from the CFA Institute. Edda Zekarias has eight years of experience working in child and adult education, communication, and advocacy. She currently works closely with UNDP Ethiopia’s Governance and Capacity Building Unit where she is responsible for reporting and sharing program developments with different parties including the Ethiopian government and its people as well as international partners. She also assists with media related projects by producing content and pictures for the UNDP Ethiopia website and writing updates for the organization’s social media networks. Edda also serves as the Secretariat of the UN Communication Group (UNCG) in the office of the UN Ethiopia Resident Coordinator, assisting efforts to strengthen and promote the work of the UN in Ethiopia and also engage the state and private media in developing communication. After The Washington Fellowship, Edda plans to share acquired knowledge and skills with her UNDP Ethiopia and UNCG colleagues. Aichatou Tamba has five years of experience in conflict prevention and African peace and security dynamics with the African Union (AU). She is currently working on the AU Border Program, focusing on capacity development in a dozen African States with an emphasis on promoting borders as a conflict prevention tool and an instrument for African integration. Previously, Aichatou conducted research focused on the relation between African regional and continental integration bodies and on the concept of “African Solutions.” For two years, she was the liaison officer of the Africa Peace and Security Program, which gave her advocacy skills and access to a network of multilateral organizations and actors focused on mediation, peace, security, and governance. She received her degree in Comparative Law and Politics with a specialization in International Analysis and Prospective from the University of Auvergne. 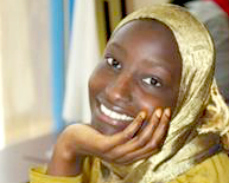 Upon completing the Washington Fellowship, she plans on advocating for strong diversity management policies for conflict prevention in Africa. 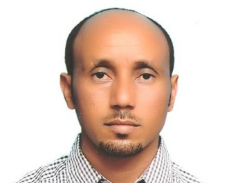 Mitiku Gabrehiwot is a lecturer at Mekelle University with over 10 years of research and teaching experience. He is a postgraduate Coordinator at the Department of Anthropology and is responsible for launching and supervising master’s programs within the department. 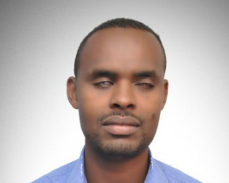 He also works with the Mekelle School for the Blind where he organizes and coordinates volunteers from several different countries including Ethiopia, UK, and USA. He received a bachelor’s degree in History and Law and a master’s degree in Journalism and Medical Anthropology. He is an accomplished photographer and speaks seven different local languages. Upon completion of the Washington Fellowship, he plans to mobilize and encourage youth in his community to be active in volunteerism and public service. 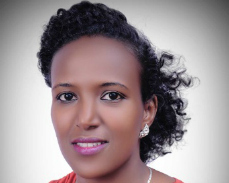 Tsion Teferra Zeleke has seven years of experience serving as a development practitioner. Her work has focused on providing services in strategic development and management, result based program implementation and management, partners appraisal and management, and promotion of community and children participation. She is currently serving as the Director of Child Protection for Save the Children Ethiopia. Her responsibilities include developing and implementing the in-country child protection program and performing advocacy work to positively influence policies. She has a Master of Arts in Social Work and a Bachelor of Arts in Psychology. 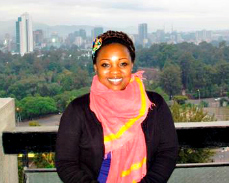 Upon completion of the Washington Fellowship, Tsion plans to be engaged in advocating for adequate budgeting for the implementation of projects that protect vulnerable children and families.